As most of you probably already know, the Houston area was hit with extreme rain and flooding over the last ten days! It started Sunday evening, April 17th and by Monday morning many homes were flooded and the rain continued to fall and the creeks continued to rise! 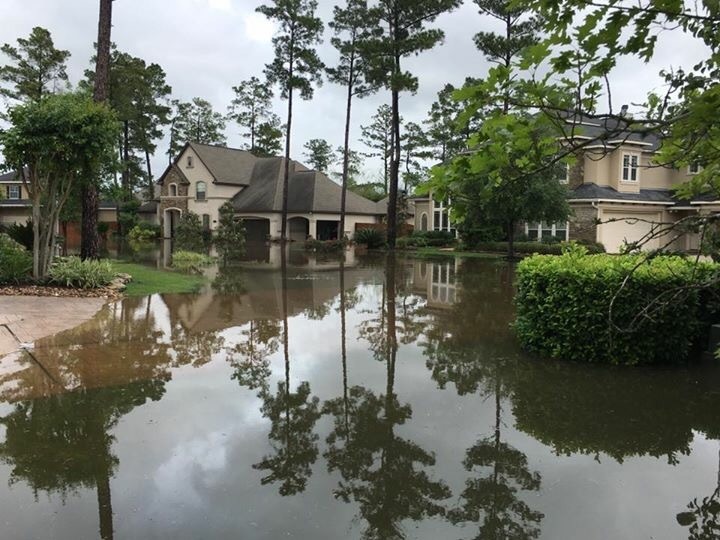 They are calling it the, “500 Year Flood” as we had record-breaking rainfall in excess of 16 inches in less than 24 hours in Cypress and surrounding areas. I must say, it was the worst storm I have experienced in my 30 years of living in Texas; even my 26 year old daughter climbed in bed with us, along with our two dogs. It was a night that I will never forget as we watched the lightning continuously illuminate the sky, while the thunder pounded and the wind blew with great fury! Sleep was impossible, as the emergency alerts kept screeching on our cell phones, flash floods were everywhere. When the rain finally susided late Monday afternoon, there was wide-spread devastation throughout the City. Neighborhoods were under water and so many families lost their homes and most of their belongings. The news showed rescue after rescue of people who were stranded in their homes and cars and that fled to higher ground for safety. Even horses were rescued and had to swim to safety. It was a day that most Houstonians will remember forever. As the creeks continued to rise and more and more homes were flooded it also continued to rain off and on throughout the week. I believe there is a moral to every story and this one shows the humanitarian side that always seems to comes out in a crisis. We all love it when people “rise to the occasion” and help one another in difficult times. There is a true spirit of love and respect that emerges when people join together to help their neighbors and people they may not even know in times of need. Some even risk their own life to rescue another from impending danger! It is times like this when we all stop and realize just how small and helpless we are and how BIG God is! We call it “Mother Nature”, but in reality it is “Father God”! We are definitley not in control of our circumstances, and it is God’s grace that we are alive and well! He is mighty and will REIGN forever!